U is for Understated | True story. Really. STEVE INSKEEP: How did you come to learn how to deal with disappointment? Mr. BANKS: I guess I was with a writer one time, named Herb Cohen, and he would give me little quotes and things to think about in my life. And he said, well, most things, Ernie, in your life, you care about them, but not that much. So that kind of stuck with my life. I care about it, but not that much. You know, we play a game, we lose, I care about it, but not that much. Banks played for the Chicago Cubs from 1953 to 1971. Now, I don’t follow baseball at all, and though I had heard his name, I didn’t really know anything about Ernie Banks until I heard this interview. I couldn’t help but be impressed by the man’s sincerity and honesty – he’d had a lifelong dream of winning the Nobel Peace Prize, and despite all his success in life and as a baseball player, that dream still mattered to him. He knew he had done big things, but never stopped wanting something bigger, something that was, in his words, worthwhile. Another thing that I really like about this interview and the wisdom that Mr. Banks shares is the fact that it’s understated, and it’s also slightly awkward. Take the quote above, for instance. It’s not a sound bite, and you can’t turn it into one. It’s a quote of a quote, and it requires some explanation. It’s also a really great piece of advice. Care about things, but be like Ernie Banks, and don’t let them get to you. Sadly, Ernie Banks died in January of last year. When NPR re-ran the story, I was fortunate to hear it again. The man had perspective. You can find the full interview with Ernie Banks here, and you can learn more about Ernie Banks life and career here. 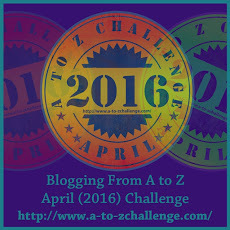 This entry was posted in Challenges, Quotes I love, Tools and tips and tagged #atozchallenge. Bookmark the permalink. Pingback: Y is for Yellow Lines | True story. Really. There’s a meme somewhere on this interweb…I’ll find it sometime….it’s includes this bit of wisdom that I try to cling to when I am ready to implode: Care less, love more. I’m sure you’ve heard of this, my smart and sensitive friend. This post just reminded me….. I hadn’t heard of it – but it sounds just about right. Send it along when you find it!